Hilal Computers, the Bahrain-based IT solutions and technical services provider, has been inducted into the Dell EMC President’s Circle Top 20 Partners from the Middle East and North Africa (Mena) region. 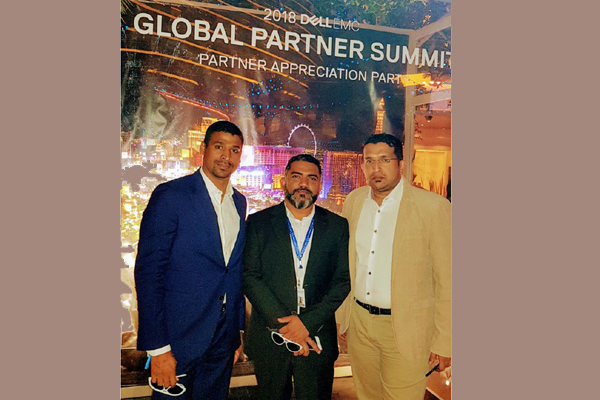 The honour was announced at the Dell Technologies World 2018 in Las Vegas; the global annual meeting place for the IT sector, which attracted 14,000 attendees, including more than 6,500 partners for the adjacent Global Partner Summit. The inclusion of Hilal Computers in the select President’s circle is a benchmark achievement evaluated by Dell Technologies across their extensive number of global enterprise partners. “Dell Technologies recognizes their top partners globally for their extraordinary performance," stated Hardy Koshy,, the general manager of Hilal Computers. "The selection for the Dell EMC Presidents Circle is an accolade that is deserved by all the employees of Hilal Computers whose dedication and professionalism is recognized by the award," he added. Shijas Mohidheen, the director of sales and operations for Hilal Computers, said: 'To attend the Dell Technologies World is in itself enriching for Hilal Computers. The event is the platform to experience the technological insights and innovations that be driven by seven technology leaders that includes Dell, Dell EMC, Pivotal, RSA, SecureWorks, Virtustream and VMware." "However to attend as an acknowledged leader for Dell Technologies as a specific solutions provider in the Mena region gave Hilal Computers a preferred status to access these technology leaders," he added. Roshan George, the commercial director, said: "Being recognized as part of Dell Technologies’ global excellence platform is major achievement for any company that is in our sphere of business. Our success is driven by our clients." "These global and Regional corporate entities have set the requirements that they expect from service delivery and Hilal Computers have delivered locally but to a global standard," he added.